We regret to inform our avid readers that the AaWBlog is being retired (sans Tales from the Tabletop). We would like to take this opportunity to recognize the entire AaWBlog team: Mike Myler, Justin Andrew Mason, Rory Toma, Lance Kepner, Tim Snow, Stefanos Patelis, Brian Wiborg, Jonathan Ely, and the rest of our fantastic contributors. AAW Games would like to thank Mike Myler for all his hard work managing the AaWBlog and contributing to many Adventureaweek.com projects including the Aventyr Campaign Setting. 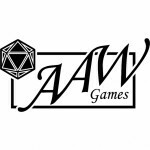 Going forward Mike Myler will no longer be working with AAW Games but will continue to be a driving force in the roleplaying game industry, AAW Games wishes him well in his future ventures. Fret not! Our brand new Adventurer's Chronicle magazine will release its first issue in Spring 2016. This magazine will be free and have a plethora of content for both the Pathfinder Roleplaying Game and 5th Edition. In issue #1 we will have a fantastic guest article by Wolfgang Baur (Kobold Press, Tyranny of Dragons) and an in-person candid interview with actress and fellow gamer Jen Page! Read more about the brand new FREE Adventurer's Chronicle magazine below and make sure you sign up for our newsletter so you can be notified when it has been released (don't worry, we won't spam you).